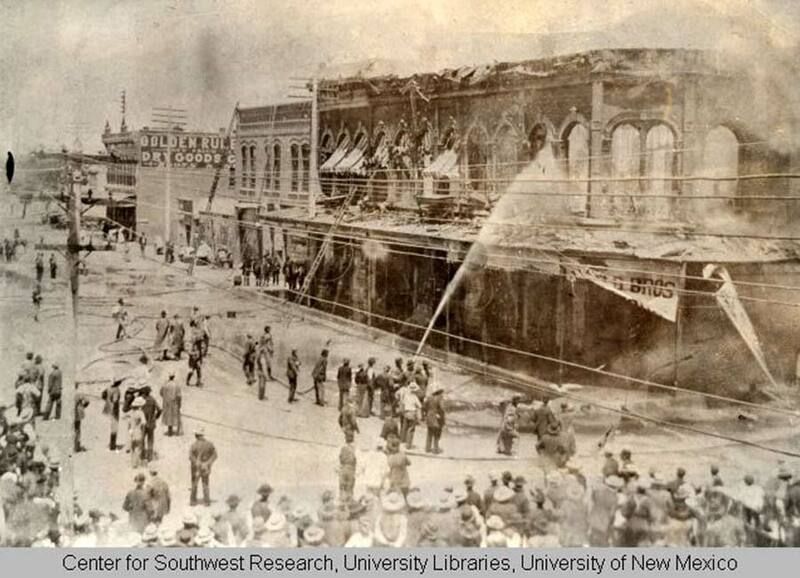 In June, 1898, a fire broke out at the Grant Building, on the northwest corner of Railroad Ave. (now Central Ave.) and Third Street in Albuquerque. Volunteer firemen fought the flames, but the building was destroyed. The Grant building housed several stores on the first floor, and the Grant’s Opera House on the second floor. It was later rebuilt, but without the opera house. Grant’s Opera House held its grand opening in 1883 with a performance of H.M.S. Pinafore. Profits from the performance were donated to a local hospital and to the Indian School. The facility, which could seat 1,000, was also used for public meetings and political rallies. The Grant Building was constructed by Angus A. Grant, a Canadian-born railroad contractor. 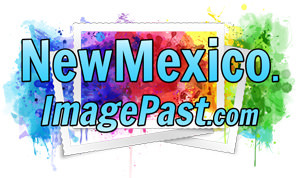 Grant also owned the Albuquerque Electric Light company, and founded the town of Grants with his brothers just west of Albuquerque. Image Source: "Fireman working to extinguish flames at the Grant Building" (000-119-0745); digital images, "UNM CSWR Cobb Memorial Photography Collection," Center for Southwest Research, University Libraries, University of New Mexico, New Mexico Digital Collections (http://econtent.unm.edu/cdm/singleitem/collection/CobbMem/id/768); crediting "Emma Albright, Eddie Ross Cobb, William H. Cobb, M.B. Howard."